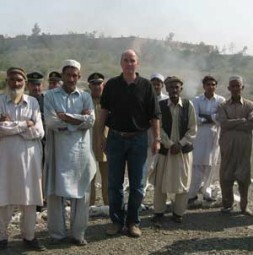 German entrepreneur and geostrategist Dr. Hubertus Hoffmann, President and Founder of the World Security Network Foundation meets the tribesmen at the Khyber pass in the FATA: "Important is what the local population wants, needs and wishes for the future. This includes references to traditions and historical facts. A fresh, more constructive approach and double strategy of roll-back of the radicals and concrete developments is needed for FATA." On February 19, 2009, more than 100 experts assembled on invitation of the independent World Security Network UK (WSN) at the prestigious Royal College of Defence Studies (RCDS) in London to discuss fresh approaches for the important region of the Federally Administered Tribal Areas (FATA) and its relationship to the developments in Pakistan and Afghanistan. This 2nd FATA Workshop of the WSN brought together specialists from Pakistan as well as from the United Kingdom, Germany, the United States, Afghanistan, the United Arab Emirates, France, Poland, NATO and the EU and made the complex situation as well as the options for solutions much clearer. Several new ideas and proposals were created. All planning of policies and strategies towards FATA, Pakistan and Afghanfistan should be made bottom-up, and not top-down as was done in the past. Important is not what Washington, London or Berlin think is needed, but what the local populations want, need and wish for the future. This includes references to traditions and historical facts. The West must search for this or will fail like the Soviets did between 1979 and 1989. The governments in the West as well as in Pakistan and Afghanistan have failed with their strategies as the militant elements have gained ground in the last years. A military victory objectively cannot be achieved, even with more troops as announced by U.S. President Obama. A fresh, more constructive approach and double strategy is needed. The policy toward FATA and the integration of Pakistan into the planning of NATO should come out of Pakistan and must have a Pakistani face. The war against the radicals as well as operations in Afghanistan are mainly perceived as the fight of the West and not as a struggle for Pakistan's national interests. Pakistan must become a respected real and long-time partner and not treated in a colonial-style manner with a stick-and-carrot approach. It is an unacceptable idea to impose the will of the West upon the people in this region. Europe must be more active and not leave it to America to develop a fresh approach in its own homeland security interests. A new strategy for this region should include the wisdom of unique Pentagon strategist Fritz Kraemer, who on one side argued that raw power is necessary to check wild fanatics and that provocative weakness has to be avoided, yet on the other side demanded solutions that address the soul of the people, promote a process of regeneration, look for imaginativeness and inner visions, and shape - not only adopt - political realities with an inner musicality for the psycho-political elements. All this was missed for seven years and is needed now to turn around the situation (see www.worldsecuritynetwork.com/fritzkraemer). For a new comprehensive strategy und its effective implementation for FATA, Pakistan and Afghanistan we need creativity as well as Churchillian wisdom and a 'Yes, we can' approach. Albert Einstein once said: "Imagination is more important than knowledge" and "We cannot solve problems by using the same kind of thinking we used when we created them". One of the fundamental problems in managing foreign affairs from the Western point of view and internal affairs from of the Pakistani and Afghani perspective is that most politicians think their words are deeds. Indeed, words usually do not matter at all but only actions on the ground combined with sufficient funding and strict scheduling and controlling. The implementation is key. The "mess in Afghanistan" (Ambassador Richard Holbrooke, U.S. Special Envoy to Afghanistan and Pakistan) as well as in FATA and Pakistan has its roots in this misperception and the implementation gap. More than 100 experts assembled on invitation of the World Security Network UK (WSN) at the prestigious Royal College of Defence Studies (RCDS) in London to discuss fresh approaches for the important FATA region and its relationship to the developments in Pakistan and Afghanistan. "The policy toward FATA and the integration of Pakistan into the planning of NATO should come out of Pakistan and must have a Pakistani face. The war against the radicals as well as operations in Afghanistan are mainly perceived as the fight of the West and not as a struggle for Pakistan's national interests." The tribal areas FATA on the border to Afghanistan - with their more than 3 million inhabitants in over 6,000 villages - have a unique and toxic mix of Al Qaeda including Osama bin Laden, who is still hiding there with his core group hosted by tribes over seven years after 9/11; the Taliban from Afghanistan, who regroup here and plan cross-border attacks; and radicals from Pakistan and Europe who come for training. This critical area must therefore be the focus of attention now after too many years lost without a clear strategy. Focus on convincing the tribes to demand that Osama bin Laden and his Al Qaeda leave, giving them incentives and assurances of the West and Pakistan to leave them alone - using fresh security interests of Pakistan and Saudi Arabia to neutralize this global phantom of terror now. 'Carving out Al Qaeda' is the focus. Moving to immediate actions in FATA after many years lost, we should start concrete initial civilian projects for the FATA population now, perhaps first - for security reasons - on the border to FATA. Ideal pilots should: be achievable under adverse conditions in FATA; require moderate funding; take effect for the suffering people rapidly; use resources efficiently; be easy to implement; employ reliable people and institutions; allow effective control and monitoring of funds. The focus should be on ice-breaker projects at the border to FATA to first support the population, keeping a very low profile for foreign aid and NGOs and working primarily through Pakistani organizations. Priority needs to be given to projects with a focus on supporting the future of FATA, the young generation under 18 years - as they will one day either join the Taliban or not, depending in part on whether they are educated and employed. 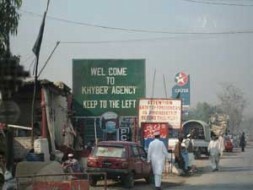 Start now at the border to FATA in the NWFP with projects. Do not only promise but deliver. Use only Pakistani subcontractors who are experienced and reliable and not suspect for the tribes. FATA Scholarship Fund for boys and girls who get higher education in the safer NWFP. 5,000 students apply each year for only 100 Scholarships in Peshawar. 100 more Scholarships cost only €1m for six years of education (see "FATA Scholarship Fund"). FATA Education, Health and Skill Centres in five locations at the border to FATA where 5,000 children can learn and 6,000 can be educated in courses in vocal training and craftsmen, with basic medical centres. FATA Welfare organization as a catalyst for work for FATA, independent from government restraints, and as a first national Pakistani NGO for this work which can crystallize FATA projects and analysis. A Tribal Broadcasting Network for positive information for the tribesmen who are now unduly influenced by mobile Taliban radio stations. "Priority needs to be given to projects with a focus on supporting the future of FATA, the young generation under 18 years - as they will one day either join the Taliban or not, depending in part on whether they are educated and employed. The priority project should be the FATA Scholarship Fund for boys and girls who get higher education in the safer NWFP. 5,000 students apply each year for only 100 Scholarships in Peshawar. 100 more Scholarships cost only €1m for six years of education (see "FATA Scholarship Fund")." Europe with Poland, the UK and Germany and the Gulf States including Saudi Arabia should not wait for the new administration in Washington and lose more time, but should now forcefully start funding first FATA projects to develop from political promises to real action. Barack Obama will demand more support in this region from his allies soon. London, Berlin and Warsaw must lead in Europe with the first ice-breaker projects according to the Proposals for Pilot Projects in FATA. Only words and a series of one conference after another without action on the ground are no longer enough and contradict the national interest of the European countries and the Gulf States. Precise plans and actions are needed - not more meetings. The Frontier Corps (FC) must be strengthened immediately as the radicals are better equipped. More than 50 experts from the U.S. are now training units in anti-insurgency warfare for several months. Until now the FC was a light military policy united with little firepower and mobility - enough to keep peace among the tribes but not to fight Al Qaeda and the Taliban. The regular Pakistani army involved in operation in the tribal areas also lacks know-how and capacities in insurgency warfare. It is still a classical force designed for traditional warfare and shows extreme weakness in selected targeting and operations as shown in Swat, where 15,000 troops were not able to roll-back 3,000 radicals. The tribes should be better armed now to roll back and contain the radicals on their territory, who also killed many of their elders and maliks and threatened the centuries-old traditional order in FATA. The introduction of the Sharia in the FATA region Swat was seen as the wrong signal at the wrong time. Only after the radicals are defeated and not before should the population get its traditional legal system back, if they choose, without pressure - which was and will be unique in FATA. Most people support the re-introduction of the Sharia as they are totally frustrated with the existing legal system, which takes many years to solve legal disputes. Some proposed a 'roll-back' of the radicals in Swat and to focus of more special forces there to defeat the radicals in this jewel of the tribal areas and show strength and not weakness by the Pakistani military. FATA is not at all a lost area or a sanctuary for terrorists as is often reported in the media. 99 percent of the population are not radicals, but only 1 out of 100 have joined the Taliban (see www.understandingfata.org for polls and views of the population). This region was not cleverly managed after 9/11 when the U.S. and NATO came to Afghanistan to defeat Al Qaeda and the Taliban. Hundred of radicals fled from there to FATA. More than 200 were captured or killed by the Pakistani army in 2001/2002. The population even welcomed the Pakistani army and supported it in these first years. After this the option was lost starting in 2003. Too little money was invested and only military actions by the U.S. and the Pakistani army pushed the population against them step by step. This is why trust-building measures with the population are urgently needed. "Pakistan is, together with Afghanistan, itself, the main victim of the 30-year-long war in Afghanistan. 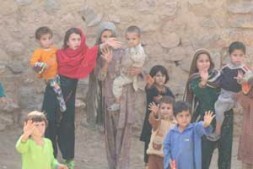 More than two million Afghani refugees have been living in Pakistan for more than 20 years. The poisoned world of drugs is getting into the society as well as the ideology of violent Jihad. Pakistan has suffered and slipped over the years into its own state of emergency because of so many bomb attacks by radicals in Pakistan itself. The economic crisis adds to the desperation of the people." The population of FATA should decide in a referendum after the roll-back of the radicals whether they want to stay autonomous as they have for a long time, form their own province within Pakistan, or join the existing NWFP. Pakistan should integrate FATA but accept the tradition and desire for independence. The U.S. and the European states should start funding now with $1bn the $ 2bn FATA Sustainable Development Plan (SDP) from 2006; so far only $100m had been funded by the U.S.
A fresh new FATA double strategy of power and reconciliation is needed, with concrete civilian projects to support the population and a roll-back of the radicals. The comprehensive strategy must include all parties involved in this region and along the border and set a priority on local needs and perceptions. With military means alone peace in FATA is not possible. The focus must be the implementation of the strategy, basic institution building, starting with small steps and visible concrete ice-breaker projects. The West must keep a low profile there and use local Pakistani organizations. FATA is not lost but a victim of no strategy or wrong strategic approaches and a lack of implementation of the West and Pakistan over the last 30 years. It can be turned around step by step into a peaceful area again, as it was before 1979. Contrary to public perception, twice as many Pakistani soldiers are involved in the fight against the Taliban (120,000 in FATA) than U.S. and NATO soldiers in Afghanistan (55,000) and many more Pakistani soldiers have died (more than 1,800 in FATA) than soldiers of the ISAF and U.S. forces (1,006). Pakistan bears the main burden in this conflict and has lost more blood. Popular Western demands that Pakistan "should do more" are therefore unfair. NATO General Karl-Heinz Lather, the Chief of Staff of SHAPE, told the workshop participants about several promising means of cooperation between the ISAF forces and the Pakistani army cross-border with a rolling consensus to adopt a regional approach. The cooperation between Afghanistan, ISAF and Pakistan on the 4-star level is working in committees for intelligence, border security and executive. A Joint Intelligence Centre was established in 2007 for sharing intelligence between Pakistan, Afghanistan and ISAF. There is no reason why there should not be a comprehensive political-military plan for Afghanistan. More activities could be done by Pakistan and the Allies to stabilize the region. General Lather mentioned progress with a new Pakistani liaison officer in the NATO Headquarters in Brussels and a ISAF liaison in Islamabad. The trilateral commission of ISAF, the Afghan National Security Forces and the Pakistani Security Forces must be supported and developed fincluding a broader border management plan with a new Coordination Centre. NATO countries support now the modernization of the Frontier Corps and Pakistani army with equipment, training and doctrine for counter-insurgency operations (see the speech by General Lather here). The reduction of civilian casualties is key as such casualties produce more enemies than they may kill and drive the Pashtun tribes into the hands of the radicals. 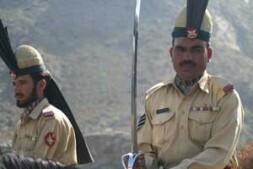 The use of Predator drones and Hellfire missiles against selected top radical leaders in FATA in close cooperation with the Pakistani forces has been very successful in the last six months, eliminating 11 high value radicals, yet only after many unsuccessful strikes with too many civilian casualties in the years before. A clear majority in Pakistan is against the use of foreign weapons on FATA soil and does not see this as support but intervention. Pakistan is, together with Afghanistan, itself, the main victim of the 30-year-long war in Afghanistan. 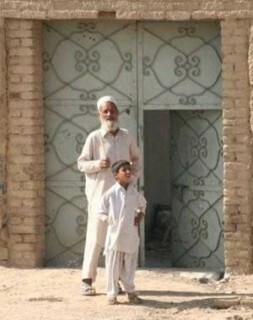 More than two million Afghani refugees have been living in Pakistan for more than 20 years. The poisoned world of drugs is getting into the society as well as the ideology of violent Jihad. Pakistan has suffered and slipped over the years into its own state of emergency because of so many bomb attacks by radicals in Pakistan itself. The economic crisis adds to the desperation of the people. "Until now neither the population nor the military leadership nor elite in Pakistan have changed their attitude and focus towards the new threat of terrorism. Still like a rabbit against a snake, Pakistan is focussed on its former arch-enemy and still suspicious Eastern neighbour India. Afghanistan is seen as a glacis needed for strategic depth. A containment of the radicals in FATA must prevail before their activity spreads all over the country. This is in the national interest of Pakistan, not only the West." Until now neither the population nor the military leadership nor elite in Pakistan have changed their attitude and focus towards the new threat of terrorism. Still like a rabbit against a snake, Pakistan is focussed on its former arch-enemy and still suspicious Eastern neighbour India. Afghanistan is seen as a glacis needed for strategic depth. The army is equipped to fight heavy and not light wars. As such, there is still no priority to fight the real threat: the radicals. After FATA, the largest Pakistani province Balochistan with 7.5 million inhabitants and its capital Quetta could become the next area where the radicals gain influence and become dominant. This would threaten a core region of Pakistan. Therefore a containment of the radicals in FATA must prevail before their activity spreads all over the country. This is in the national interest of Pakistan, not only the West. The Pakistani people also suffer from an extremely weak civilian government and party system and a prevalence of corruption involving too many for too long. The gap between the government and the population is widening and the chances for radicals are increasing. The army is still the glue which holds this large Muslim country with nuclear weapons together. A fresh political reform process within Pakistan seems unavoidable to stabilize the country. Some see the movement of lawyers as a catalyst and argue in favour of a national unity government with fresh reliable personalities and the impeachment of the old party system supported but not dominated by the army. Only few believe that current President Asif Ali Zardari will remain in office for long. The West should not base its policy on leaders who have no clear track record against corruption but become a sponsor of good governance and the governance of law in Pakistan and back the reformist personalities. The army as well must enhance the credibility of all political institutions and support credible leaders. It should learn from the historical mistakes of the influential armies in Germany and Japan in the 1930's who missed the window of opportunity to stop and contain the radicals atomizing their nations they should have protected. Pakistan and the new faces in politics should be embraced by the U.S. and Europe now to help this important country to reform and survive. NATO should integrate its Pakistani counterparts into all Afghanistan-related meetings, i.e. inviting President Zardari to the next NATO and Afghanistan summits. Pakistan's views must be included in all discussions and decisions about Afghanistan. Pakistan feels sandwiched between India and Afghanistan. Therefore India should reduce all its activities in Afghanistan to a minimum in order not to trigger more fears of encirclement from the West. It must also, in its own security interests, start a fresh reconciliation progress in Kashmir and treat the Muslim population there at its best. India needs a détente with Pakistan, as well, so as not to provoke the very large Indian Muslim population later. Until now the old thinking in India versus Pakistan prevails and the old guard of decade-long politicians and technocrats follow the old paths. The West must focus on Kashmir as well as on FATA and establish trilateral negotiations about this region including Pakistan, India and the United States. The EU as well as the U.S. should support Pakistan in the severe economic crisis, i.e. consider a tariff exemption for textiles now to show goodwill with maximum effect and to support the Pakistani people. The U.S. for too long has alienated the population by supporting unpopular military leaders and following a deal-by-deal approach of carrot and stick which has ruined its image. Therefore Europe should lead and show much more profile in working with Pakistan. The policy toward FATA and the integration of Pakistan into the planning of NATO should come out of Pakistan and must have a Pakistani face. Pakistan must become more self-confident in expressing its will and needs and promoting the discussion about the new security architecture of this region. The military as well as the politicians should be more clear towards the public and teach them that this fight is not a proxy-war for the U.S. but for the vital security of Pakistan and its survival as a prosperous country. "The Pakistani people also suffer from an extremely weak civilian government and party system and a prevalence of corruption involving too many for too long. The gap between the government and the population is widening and the chances for radicals are increasing. The army is still the glue which holds this large Muslim country with nuclear weapons together. A fresh political reform process within Pakistan seems unavoidable to stabilize the country." Action required- What are the next steps? Commander M.W. Ewence, Royal Navy U.K.
Do not hesitate to add your own ideas about FATA and mail me your thoughts to [email protected] "Networking a Safer World" together.